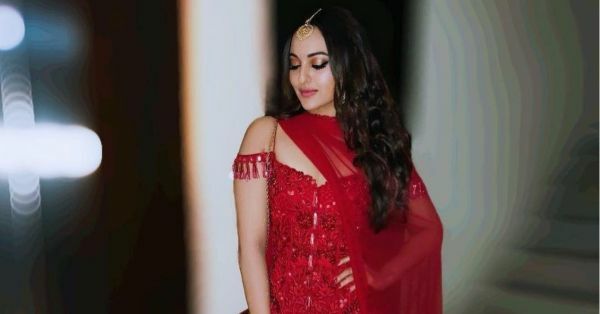 Sonakshi Sinha Shows Us How To Wear Red For A Wedding That's Not Your Own! Call it an unwritten rule of wedding fashion etiquette or just plain old girl code, wearing red for a friend's wedding can be a gamble. Even though you can be well-intentioned and just like the colour, there are chances that the traditional bridal colour upstages the lady of the hour. And there are very few rare friendships that can survive a flub like that and very few brides who might take it lightly! Having said that, there are a few bold souls who play fast and loose with the rules and come out looking like the winner. Sonakshi Sinha is definitely one of them! We already know that this curvy beauty is her own woman when it comes to fashion, she is also a good inspiration on how to play it safe while being risque at the same time. While attending a bestie's wedding, Sonakshi turned up in a bright red ensemble fit for a young bride but the style she picked and how it was accessorised is the real reason why we are talking about it. Sonakshi replaced the traditional lehenga or saree with a tiered sharara, which kept her look comparatively easy going and laid back. She also chose a style that had mirror embellishment and fringe details that would become the talking point of the outfit rather than the colour. 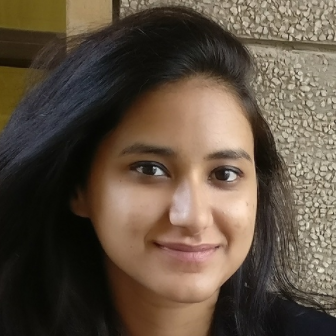 Accessorising with a simple gold maangtikka and metallic clutch, Sinha established herself as the stylish shaadi guest who keeps it cool and light. The bride sure seemed to be okay with it so the gamble paid off well for Sonakshi (the bride wore wine so it was all NBD)! This gorgeous set is from designer, Arpita Mehta's Enchanted Forest collection. Head to the Instagram to get more information on how you can own and rock this beauty for the next wedding function.